One-third of the I-Threes, reggae's most influential female vocal trio, Judy Mowatt helped to turn the last recordings of Bob Marley into enduring classics. Her sensuous harmonies strengthened albums by Peter Tosh, Jimmy Cliff, Big Youth, Pablo Moses, Freddie McGregor, U Roy, and the Wailing Souls. 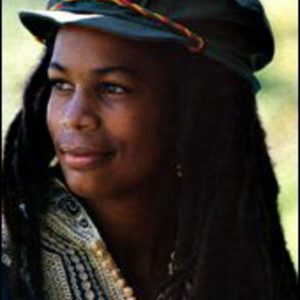 Her solo recordings, including Black Woman in 1980 and Only a Woman, two years later, marked her as a powerful spokesperson for Rastafarian and feminist causes. Mowatt initially attracted attention as lead singer of a vocal trio, the Gaylettes, also known as the Gaytones, that she formed with Beryl Lawrence and Merle Clemonson in 1967. Based on such Motown groups as the Supremes, the Marvelettes, and Gladys Knight and the Pipes, the Gaylettes harmonized on a rich mix of RB and Jamaican dance music. The trio remained together until 1970 when Lawrence and Clemonson immigrated to the United States and Mowatt embarked on a solo career, recording under a series of pseudonyms including Juliann. Mowatt's greatest break came when vocalist Marcia Griffiths asked her to sing harmony on a track that she was recording at Studio One with her duo partner Bob Andy in 1974. Rita Marley, the wife of Bob Marley and the mother of Ziggy Marley, was also hired to sing on the tune. The three woman hit it off so well that Griffiths invited Mowatt and Marley to sing the Supremes tune "Remember Me" with her when she performed that night at the House of Chen in New Kingston. The appearance was so successful that they agreed to continue performing together as the I'Threes. Around the same time, Bob Marley was beginning to rebound from his split with Peter Tosh and Bunny "Wailer" Livingston. During a visit to the home of reggae producer Lee Perry in Cardiff Crescent in the Washington Gardens section of Jamaica, it was suggested that Marley incorporate the I'Threes into his performances. After singing harmony on Marley's song "Jah Live" and album Natty Dread, the I-Threes performed their first concert with him as the opening act for the Jackson Five in spring 1975. The I-Threes continued to work with Marley until his death in May 1981. Five years later, Mowatt and the I-Threes toured in a package show that featured musicians from Marley's band the Wailers and introduced Ziggy Marley and the Melody Makers to North American audiences. A member of the Rastafarian group the Twelve Tribes of Israel, Mowatt recalled her fascination with Marley during an early-'90s interview. "I had gotten to realize in reading my Bible that this man (Marley) was really Joseph in his second advent. I saw in the man that this time he came not only with the physical corn to feed his people but he came with the spiritual corn, which was the message that transcended to the four corners of the world." In addition to her work with Marley and Ithe 'Threes, Mowatt continued to pursue a solo career. Her album, Black Woman, released in 1977, was the first to be recorded at Marley's ~Tuff Gong studios.